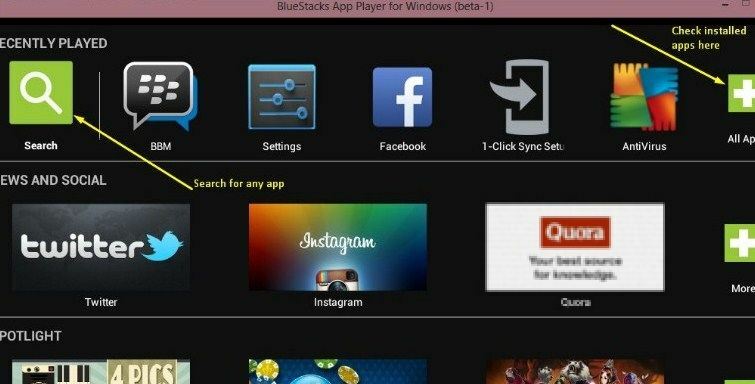 Download BlueStacks Offline Installer For Windows 8.1, Windows 8/7*! I am really excited to share this useful and most wonderful post with all my readers that is BlueStacks installation without involving any net connection I mean offline installer of BlueStacks. BlueStacks is a the best android emulator and which used to run all android applications on your Windows 8 or Windows 8.1/7 laptop or PC. You can run all type android apps like instant messaging android apps like WhatsApp for PC, WeChat, Kik and gaming android apps like Clash Of Clans for PC and Subway Surfer for laptop etc using BlueStacks on Windows PC. Whenever you want to use android apps on laptop you need an android emulator to run those applications. We have lot of android emulator on web to download and install this some of the great apps on any operating systems similar to Windows or Mac. 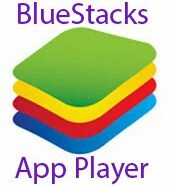 Guys who are searching for an android emulator installation without taking part of internet go through the below step by step procedure to get offline installer of Bluestacks. Actually every user will download BlueStacks from it’s official web page but it will take much time to download an android emulator with online installer. Online installer of BlueStacks is not complete file and it’s around 9 MB size, when you get BlueStacks from online if you open it will start installing and downloading other files from internet. All this will happen when you have speed internet connection, you can’t install BlueStacks in your windows PC without active net connection. Don’t upset guys! Here we are furnishing standard and complete file of BlueStacks to run all android apps on PC or in other Smartphones which consist of operating system android or windows. To download and installation BlueStacks offline installer doesn’t need any other files from internet, click on below BlueStacks Offline Installer and wait few seconds to complete download. I hope you have got BlueStacks offline installer if you have any trouble while downloading feel free to leave comment below. if you want to download a online installer go through Download BlueStacks and in few cases users are facing problems like Graphic card error if you have that issue, have a look at >> Installing BlueStacks software Without Graphic Card Error on PC. After completing download of BlueStacks from above mentioned link then don’t stop your excitement to install BlueStacks offline installer using simple and awesome steps to perfect installation. Here you can observe brief explanation for each and every step to more clear explanation or distracting the confusions of users. Now follow the best way to download and install offline installer of BlueStacks on windows 8.1 or windows 8 laptop/PC. 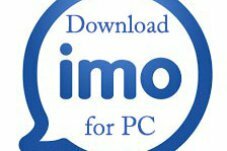 Start and run BlueStacks.msi file to install offline installer on your Windows PC. After opening of BlueStacks offline installer start installation process. Just keep an eye on instructions which are displaying on screen to have clean installation of offline BlueStacks. All the process will completed within few minutes. Now have fun with installed BlueStacks after proper completion of above steps. 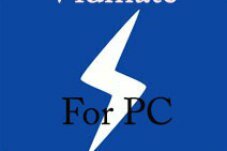 I hope you would done download of BlueStacks offline installation on Windows 8.1 or Windows 8 laptop or laptop/computer. 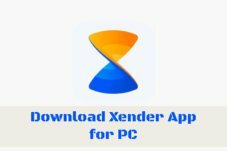 Install this amazing App player in Windows 10 also since Windows 10 is the most awaited and upcoming Microsoft Windows version. You can check out all latest android apps and fresh tech news on this portal, if you have any quires regarding this any other which is related to android applications, you’re free to contact us or comment below. Share this valuable article with your friends and I hope you enjoyed this post. If you have downloaded the offline installer software of BlueStacks, then it’s easy to install because it is just installing the other softwares in your PC. It works on both Windows 8.1 and Windows 8. I’ll try to assist you if you tell the exact problem what you’re facing in this, thanks. AMAZING!!!! you have no idea how much you have just helped me! the size of the offline installer software of BlueStacks is 196 MB.and it will take more time to download….so plz help me can i use any other software to use whatsapp on pc windows 8.1 ?????????? Hi Vikash, if you download offline installer, it takes more time. If you go with runtime file of Bluestacks (size will be around 13 MB), it may take less time to download but at the time of installing, it needs Internet connection. So, if you want one thing you need to loose another one. Other than Bluestacks, YouWave is another software but it also has more size. So, I recommend you to go with Bluestacks runtime file because of its less size but make sure you have fast internet at the time of Bluestacks installation. Hope this helps, thanks. Hi Siva, what you have downloaded from the Bluestacks official page is a installer that needs Internet connection to install Bluestacks. That is not offline installer, no problem you can install this one also. Offline installer needs more data to download and less data to install whereas online installer requires less data for download and more data for installation. You can chose any one of them. Hope this assists you, thanks. Hello..i downloaded bluestack offline…but its not working..i cant download any apps ..its says market finder not found..
Hi Akhau, which app you wanna download in Bluestacks? OK fine, you can avoid this error by doing like this. To install any app, download the APK file of that android app and open that file with Bluestacks. That’s it, it’ll install. Hope this helps you, thanks. Hi, just download COC (clash of clans) apk in PC and install it with Bluestacks, thanks. i downloaded both the apps bluestacks and offline installer also.. but the installation takes much more time.. what to do?? it is truly helpful thanks…………. Yeah, it’s necessary to download the complete data.